Fun financial literacy for kids. Back in August 2014, a standout team won the competition at Startup Weekend Education in Wellington, solving an important societal problem – raising the financial literacy of school children. Over the weekend, they built their Minimum Viable Product (MVP), a gaming platform for kids to earn virtual currency (funny money) at school, and then save, invest, trade, loan, borrow, buy virtual goods, and generally learn how to work with money in a safe environment. They validated the riskiest assumptions in their plan, explored partnerships with banks, and brought on their first customers. Since then, they’ve gone from strength to strength. They went on to win the BNZ Webstock Startup Alley competition in early 2015, launched in New Zealand schools, and are now used by over 7,000 students in nearly 500 classrooms, mostly in NZ, but with a handful overseas. Even more remarkable is that this growth has been driven mainly by word of mouth and teacher referrals within the school system. They haven’t needed to take in any investment. Other than the $20K prize they won at Webstock, they’ve had no non-revenue cash inputs. They’re currently profitable, and they continue to grow at a good clip. Banqer lets students earn virtual money through a number of means. The most common method is to get rewarded for completing tasks, doing good deeds, and exhibiting responsible behaviour. For example, if you’re want to be the classroom rubbish monitor, you might have to apply for the job, and then you’ll get paid in virtual currency. Students can spend their virtual money on privileges, such as selecting a movie to watch in the last week of class, preferential classroom seating, or “owning” virtual goods. Some teachers even let kids buy their way out of doing non-critical homework. Students save their money to earn interest, or invest in their classmates’ virtual businesses. How students can earn or spend their virtual currency is entirely at the discretion of the classroom teacher. In 2016, one of Banqer’s main focus is building partnerships with players in the financial services and allied industries. As an example, working with their partners in the real estate sector, they recently released a real estate module. Students can buy and invest in virtual properties, for which they might need to take out (virtual) mortgages, and then earn rental income to pay off their borrowings. They might need insurance though, in case of a virtual natural disaster like an earthquake or volcano eruption. Banqer’s revenue model is simple: after a 30-day free trial, students pay $3.50 per term, which drops to $2 if they sign up for multiple terms. They have a retention rate of over 70%. Banqer have just announced a partnership with Kiwibank, which will cover the costs of Banqer for students whom the subscription fee would present a financial hardship. Good on you, Kiwibank, for helping uplift the financial literacy of those who might need it most. Kendall Flutey is the inspiring leader who pitched the idea at Startup Weekend, pulled together an all-star team, drove progress, and went on to bootstrap her startup to widespread adoption, profitability, and international expansion over the last year-and-a-half. She has a fascinating back story, which you can learn more about at inner.kiwi. Kendall is a contemporary hero: she received a BCom in accounting and a Masters in Entrepreneurship from Otago, learned to code in the first cohort at Enspiral Dev Academy, cut her chops as a dev at Abletech, and founded her first startup, all before her 25th birthday. Her team includes Ben Wigley (CTO), Mark McHardy (Designer), and Micah Hocquard (Educational Specialist). These guys are no slouches and are all at the top of their game. Overseas expansion is squarely on Banqer’s radar in 2016. Due to similarities in the school systems, it will be straightforward to enter the Australian market. But the big opportunity is the USA. As part of the Webstock prize, Kendall spent some time based at the Kiwi Landing Pad exploring the US market. She learned that financial literacy is more of a focus in high school in the US, and that group is where the real opportunity lies. As it stands, the current Banqer product is designed for primary school students, and it would be difficult to extend the product in a way that both primary and secondary students would find suitable. So much of the focus in the second half of 2016 will be building a new product from the ground up, suitable for high schools. The past 18 months has been a huge rollercoaster ride for Kendall. Her advice to entrepreneurs? Entrepreneurship is not a walk in the park. I question what I’m doing all the time. Taking risks and dealing with uncertainty are daily activities, and go hand-in-hand with sleepless nights, self-doubt, stress, foreign situations, pulling yourself out of your comfort zone, fulfilling the expectations of strange audiences, and laying down the train tracks as you’re driving on them. But it’s all worth it when you can see the positive change you’re making in the people around you. You can help raise the financial literacy of our tamariki in New Zealand, and help the Banqer team by recommending Banqer to anyone you know in the education system. If people learned how to manage money from an early age, our society might be a much happier place. If you’re interested in learning about how to launch a startup, there are plenty of Startup Weekends coming up round the country this year. Also, you might like to check out Kendall’s reflections on her experience at Startup Weekend. Snapchat is a brilliant concept – it created an entire market in visual ephemera. The genius is in the longing that it creates once the moment has passed, for something that can never again be recaptured – which makes that moment all the more precious. So simple, compelling, engaging, and easy to use. If you’re a brand trying to get your message out, however, Snapchat is a nightmare to manage. Enter Mish.guru, a system that makes it easy for brands to manage their Snapchat presence. Without tools like Mish.guru, you have to manually manage your Snapchat client base individually on your phone – imagine your dream come true, and you have 100,000 followers – you’d have manage them individually – on your phone. Ouch! Mish.guru provides basic information that is absolutely critical to any business running a social media campaign. You can easily see how many followers you have, how many people have viewed your story and snaps, and a number of other metrics. You can also automatically rebroadcast selected user generated content to help build your campaign, and automatically track customers from initial engagement though to product purchase. Think of Mish.guru as the missing Snapchat feature set for businesses. They’re currently working with some big name brands in New Zealand and overseas, like Spark (snapsparknz on Snapchat) and Paramount Pictures (ParamountFilms). They currently have a mixed product and service-based business model. Snapchat is new for many businesses, so there is a significant market helping businesses conceive, establish, and run campaigns – you could say that Mish.guru are their own first customer in this respect. But they see the big game in providing a subscription-based product that enables businesses and agencies to manage their own campaigns from cradle to grave. Their current revenues from this hybrid model are nearly NZD 1m per year, and their product revenue is averaging growth of 20% per month. I first met their CEO Thomas Harding in Lightning Lab Digital in Wellington in 2014. Their original business was called Cavaltech, and produced 3D-printed horseshoes specifically made for individual horses. We called them “Zappos for horses”. Unfortunately, while it was a great concept, the technology just didn’t perform well in the field – they had problems keeping the horseshoes stuck to the horses’ feet. 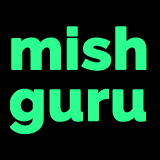 So eight weeks into the twelve-week accelerator, they rebooted their business as Mish.guru, and have never looked back. I asked Tom what the key to survival was across such a massive pivot. “Resilience”, he replied, “that’s the single most important quality in a startup team.” Their current team has Tom, a CTO, four devs, an intern, and sales people in Australia and NZ. They’re looking to hire another sales specialist on the US East Coast. Mish.guru has scored investment from AngelHQ, Sparkbox, ICE Angels, NZVIF, Ben Young, and a few other individual angel investors. They’re using this investment to transition their main revenue stream from service to product as they build their market. Their product revenue is growing at 20% per month, and that growth has been achieved without any spending on marketing. Snapchat’s growth is still exploding – Snapchat recently passed 100m users, and those users are watching over 7 billion video clips a day. The trick to a great Snapchat campaign, Tom says, is inspiring and then making the most of user generated content – let the users tell your story for you, rather than bombarding them with advertising. But to do that, you’ll need some great tools, like Mish.guru. Using the near-magical properties of UV light to increase crop production. Arthur C. Clarke’s third law states that any sufficiently advanced technology is indistinguishable from magic. BioLumic increases crop yields by applying ultraviolet (UV) light to seeds, seedlings, and plants in very specific “recipes” to control their growth patterns. Stressing plants by shining UV light in the right quantity, at the right time in their development provokes a response that makes the plants hardier – bigger stems, bigger leaves, and better overall resilience. When I first heard about BioLumic a couple of years ago, I thought, yeah, nah, that’s crackpot pseudo-science. But this technology is based on hard scientific research, and it appears to work. It looks likely to revolutionise commercial agriculture by increasing crop yields without genetic modification or chemicals – just add light. BioLumic’s founder and Chief Science Officer is Massey University’s Dr Jason Wargent, a world-renowned expert on plant photomorphogenesis – the effects of light on plant growth and development. He’s published a Ph.D thesis on the topic and numerous papers, and is now working with CEO Warren Bebb and a team of 7 to commercialise his research. They have filed three patents which are currently going through local and international examination. And it’s generating some stunning results. BioLumic are currently running trials with lettuce growers in Salinas, California – the USA’s major lettuce growing area. For head lettuce, they’re getting a 10% increase in the number of heads of lettuce per unit land area, resulting in a 25% EBIT uplift for the grower. For processed lettuce, they can achieve a 26% increase in tonnes per hectare – all without genetic modification or additional chemicals. Trials with corn are underway in NZ, with the first harvest expected in April. The numbers tell a big story too. In 2016, they’ll be treating 35 million seedlings. The lettuce market alone in the USA is a $2b market, and fresh cut vegetables is an $82b market globally. If you add in seeds and cereals, that takes it up to $650b. And this market is growing – it’s estimated that the world will need to grow 50% more food by 2050, despite a best-case scenario of bringing an additional 10% of arable land online by then. Something big is going to be needed to fill that gap, and BioLumic could be the answer. They have a recurring revenue model based on installing equipment onsite, and then charge a per-plant treatment fee. They plan to set up operations and distribution in each territory that they’ll be operating in. They’re currently scoring key customers in the USA, and will branch out from there. To date, BioLumic have run a seed round, a top-up round, an two angel rounds with participation from Manawatu Investment Group (MIG), NZVIF, ICE Angels, Enterprise Angels, K1W1, Massey Ventures, Sparkbox, and others. They have runway through mid-2017, and the next round is likely to be a mix of VC plus strategic investment. BioLumic is a great example of breakthrough Kiwi agricultural ingenuity contributing to the solution of a serious world problem, and potentially creating massive value along the way. Take control of your personal finances. Most investors I talk to hope that the entire process will complete, from go to whoa, in five to seven years. PocketSmith, a great startup out of Dunedin, formed in 2008, got to step 4 (initial traction), and decided that the global market for personal finance wasn’t really ready for their product. So they’re waiting for the stars to align, and meanwhile will surpass NZD 1m in annual recurring revenue (ARR) this year, without having spent any money on marketing. The vast bulk of their 110,000+ users are are in 200 countries, with the majority in the US, then Australia and the UK, then NZ, and they’re growing at about 8% per month. They’re biding their time, waiting for the optimum moment to strike. They know that if they went as big as possible as fast as possible, they would have missed the boat. It’s all about timing, and that time is now. PocketSmith answers basic questions about your personal finances: What’s my net worth? How does my power bill vary over the course of a year? What would happen if I trimmed my entertainment budget by $100 per month? How do I manage accounts in multiple currencies? This is all done with a very slick, easy to use interface, which automagically pulls data from your bank and credit card accounts, and cleverly classifies your transactions with not much intervention. According to Jason, the product is just where it needs to be now, and so they’re starting a big international marketing push. They’ve hired a Growth Manager – Bridie O’Leary – to increase signups and conversions to the paid product, and are establishing a formal presence in North America through an agency. 2016 will be PocketSmith’s year. Co-founder James Wigglesworth spearheads a development team that continues to refine and innovate upon the core software. Although they took in a small investment a couple of years ago from Lance Wiggs, they have yet to spend it; their strategy is to continue to fund growth out of cash flow. Lance loves their capital efficient parsimonious approach. Jason believes that Pocketsmith is well placed to become the centrepiece in a personal finance ecosystem. Just imagine what you could do with an automation layer on top of your inflexible online banking access. Think IFTTT or Zapier for your money. They already have a developer API going – they invite you to give it a shot. As PocketSmith becomes the platform for personal finance, they are aiming to become a $100m+ company in the next few years. I’ve watched these guys with interest since their humble beginnings, and I like what they’ve achieved. I use PocketSmith myself for my personal finances, and would recommend that anyone concerned about how they’re spending their money give them a go. We’re on a break – and we’ll be back in 2018. We feature a new startup every Monday that you may not have heard of, but deserves your attention. Would you like to have your startup featured?